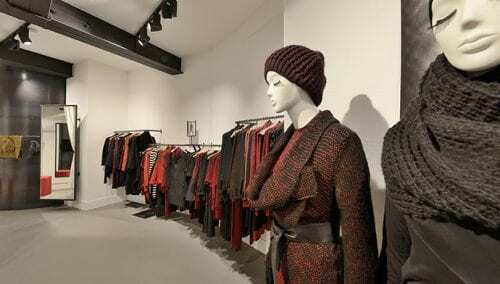 Cleo is a high-end fashion boutique in Antwerp, Belgium. It offers a large collection of designer clothing and personal service and advice. Cleo also sells shoes and handbags, for example of the brands Michael Kors and Brunello Cucinelli. Cleo sells clothing of high-level brands such as Brunello Cucinelli, Armani Collezioni, Jacob Cöhen and Fabiana Fillipi. Does your clothing store in ladies’ fashion, men’s’ fashion or lingerie have renovation plans for the future? Get some inspiration on our website or call us for a talk with our retail design department. WSB is a specialist in store design and shop interiors of clothing shops and fashion labels..